Large screen laptops are mostly considered for better viewing experiences. Professional gamers, video editors or photographers usually prefer 17-inch screen over 15 inches. But, finding the best 17-inch laptop with all required features can be a daunting task. You have to look for the processor, RAM, HD display, and graphics card to perform most of the demanding tasks. If you’re one of those looking for the best 17-inch laptops, we’ve compiled a list for you with some top choices. These laptops can consist of extra weight but their high performing features completely worth it. 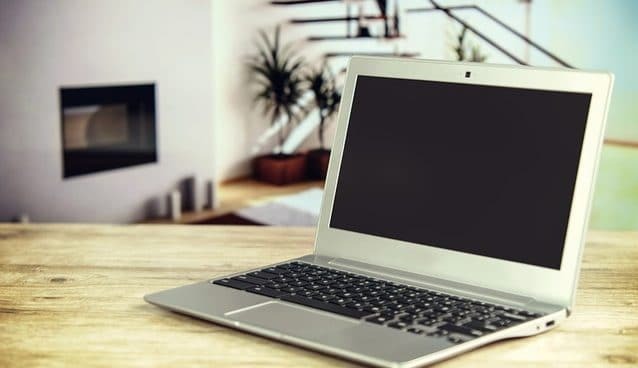 So, if you’ve decided to buy a 17 inch laptop then start reading this in-depth buying guide of top 17 inch laptops in 2019. These laptops vary in price and specifications so choose wisely based on your work requirements. 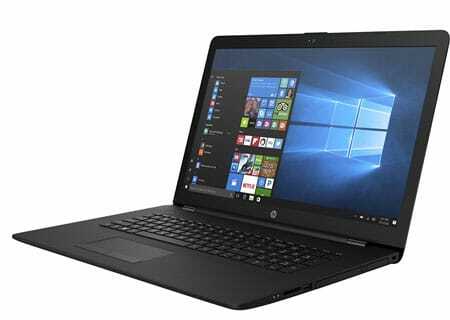 This HP laptop comes with an affordable price that meets all requirements of students and businesspeople. The laptop features a 17.3-inch HD display with a resolution of 1600×900 pixels. Its Brightview WLED-backlit display provides good viewing angle which is perfect for watching videos or playing games at low settings. The laptop is powered by AMD dual-core A9 processor clocked up to 3.6GHz. It comes with 8GB of DDR4 RAM and 1TB of hard drive storage. 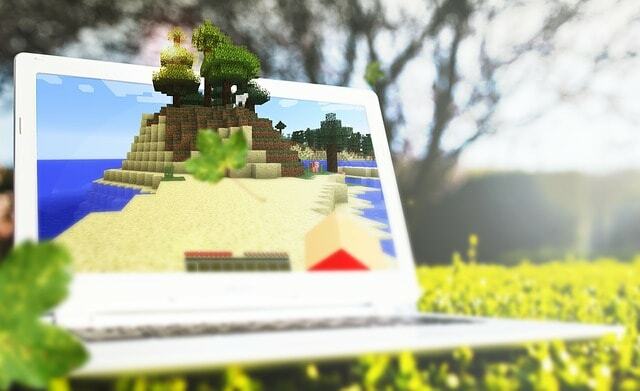 As far as graphics are concerned, the laptop is backed by AMD Radeon R5 graphics. The laptop runs on Windows 10 Home making it capable to run most of the programs with no lag performance. For connectivity, the laptop comes with two USB 3.1 ports, one USB 2.0 port, an HDMI port, and a combo jack. The laptop weighs about 5.62 pounds making it easy to carry around. It comes with a decent battery life of up to 6-hours on a single charge. Overall, it is the best 17 inch laptop under 500 you can buy right now. Dell laptops are popular among users because of their good performance and powerful features. This Dell Inspiron i5770 is one of them which comes with a sleek and elegant design. The laptop packs with the latest Intel Core i5-8250U processor paired with 8GB of DDR4 RAM making it good enough for multitasking. The laptop has a 17.3-inch HD LED-backlit display with anti-glare technology. Due to 1600 x 900 resolution, you can’t be able to use it for editing HD videos or images but you’ll still be able to perform most of the routine tasks like watching movies, editing documents and streaming internet etc. For storage, the Dell laptop offers 1TB of massive SATA storage which is good enough to store your data. It comes with Intel UHD 620 Graphics making it capable to run most of the games at low settings. The connectivity options include 2 x USB 3.1, 1 x USB 2.0 ports, HDMI and Type-C (Optional). The laptop also comes with a backlit keyboard which allows you to type conveniently even in low light settings. 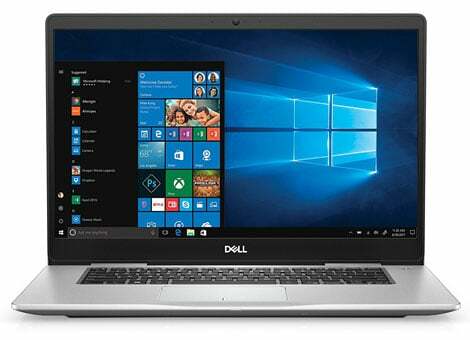 All-in-all, the Dell i5770 is the best choice for people who are looking for the best 17-inch laptop in a budget price range. 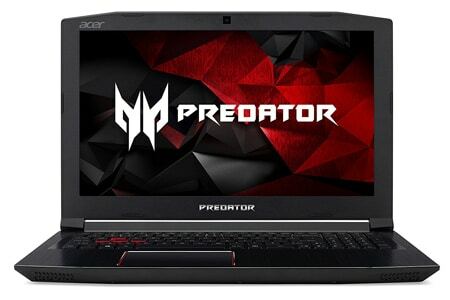 The Acer Predator Helios 300 is a popular machine among gaming laptops. The laptop comes with all powerful specifications and features that make it one of the best 17 inch gaming laptops. The laptop sports a 17.3-inch full HD IPS display that makes for excellent viewing angles and maximum brightness. It is powered by 7th gen Intel Core i7 processor with turbo speed up to 3.8GHz. The powerful processor is also paired with 16GB of DDR4 RAM and 256GB of SSD + 1TB of hard drive storage which is very fast at loading the programs. The graphics of this laptop are handled by a dedicated 6GB of powerful NVIDIA GeForce GTX 1060 graphics card that is VR Ready. The laptop weighs about 6.61 lbs which is common among gaming laptops. It also comes with a red backlight that offers true gaming experience. Its dual-fan cooling feature keeps the temperature cool during intense gaming sessions. Overall, the Acer Predator Helios 300 is one of the most recommended 17-inch laptops to buy in 2019. The HP OMEN 17 is a powerful gaming laptop which comes with top-notch specifications. This laptop is instinctively built for gamers and it keeps the ability to run any game you’re on. The laptop sports a 17.3-inch full HD display with the anti-glare coating which gives you clear crystal images from wide-viewing angles. The laptop is powered by Intel Quad Core i7 HQ processor clocked at 2.8GHz. The processor of this laptop is also paired with 32GB of RAM and 512GB of SSD + 1TB SATA hard drive. With 8GB of dedicated Nvidia GTX 1070 GPU, this laptop is capable of handling almost everything you throw at it. Apart from these specifications, this HP Omen gaming laptop comes with a dragon red backlit keyboard for a thrilling gaming experience. This laptop is also good for high-resolution photo editing or 4K video editing. 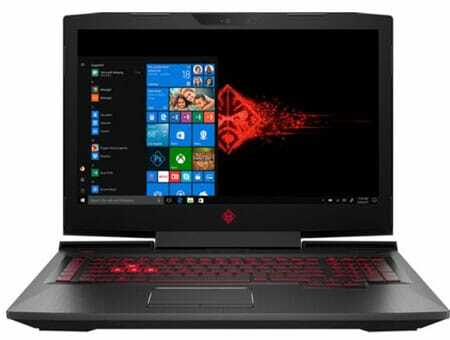 So, if you’re not running on a tight budget then we highly recommend you to buy this HP OMEN 17 inch Gaming Laptop. If you are looking for a budget 17-inch laptop then you should also consider this Lenovo IdeaPad 320. Consisting the powerful specifications and performance, this laptop comes with an affordable price as compared to other laptops in this list. The laptop comes with a 17.3-inch HD display with a resolution of 1600 x 900 pixels. Its anti-glare LED-backlit display offers bright colors with wide-viewing angles. The laptop is powered by Intel Core i5 dual-core processor paired with 12GB of RAM which is great to handle multitasking with no lag performance. 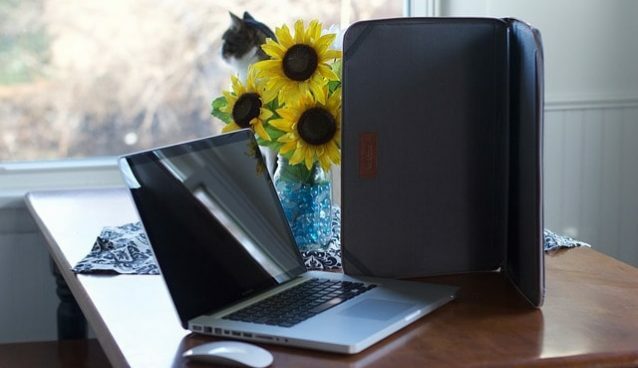 For storage, this laptop offers 1TB of hard drive storage space to carry all your data. The laptop is backed by powerful Intel HD 620 graphics which is sufficient to do basic photo editing and gaming at low settings. The battery life of the Lenovo IdeaPad 320 can be expected up to 5 to 6 hours. The connectivity ports include 2 USB 3.0, 1 USB-Type C, 1x HDMI, 4-in-1 card reader and Bluetooth 4.1 etc. 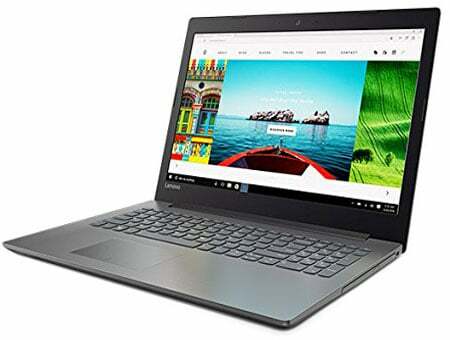 Overall, the Lenovo IdeaPad 320 is the best 17-inch budget laptop for students and businesspeople. The MSI laptop brand is popular among gaming laptop category. The lightweight MSI GS73VR STEALTH PRO will be a perfect choice for those who want to run most games while traveling. This laptop offers incredible performance and powerful features with a sleek and elegant design. It sports a 17.3-inch full HD display with 1920×1080 which offers vivid colors and sharper details. Talking about the performance, the laptop is powered by Intel Core i7 high-quality processor paired with 16GB of RAM, 256GB of SSD + 2TB of a hard drive and powerful NVIDIA GeForce GTX 1070 with 8GB of dedicated graphics. The laptop offers cooler boost technology with 3 fans and 5 heat-pipes within a single laptop that allows you to maintain high system performance during intensive gaming sessions. Apart from that, the laptop comes with an RGB backlit-keyboard that will provide an excellent gaming experience like no other. The laptop weighs only 5.35 pounds which is good for those gamers who have to travel a lot. 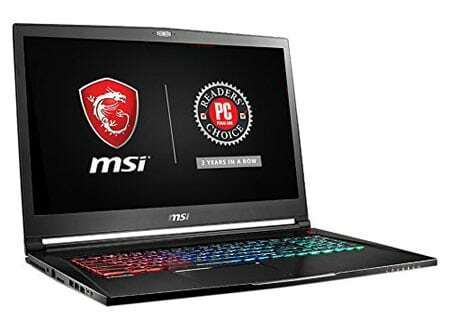 Overall, the MSI GS73VR STEALTH PRO is the perfect thin and light 17-inch gaming laptop and for other intense tasks like graphic design and music production etc. 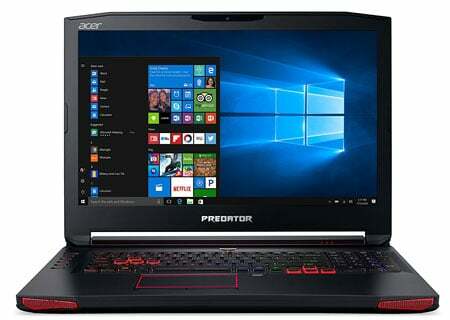 This is another powerful 17 inch gaming laptop from Acer in our list. The laptop offers most of the same features as previously discussed in MSI laptop but with an affordable price range. Because of powerful specifications and hardware performance, the Acer Predator 17 proves to be an excellent value for a 17 inch gaming laptop. The laptop comes with a 17.3-inch full HD IPS display offers amazing viewing angles with a stunning resolution of 1920×1080 pixels. The laptop is powered by 7th Gen Intel Core i7 processor with high-performance NVIDIA GeForce GTX 1070 graphics that is VR Ready. The laptop also offers 16GB of RAM and 256GB of SSD + 1TB of massive hard drive storage. 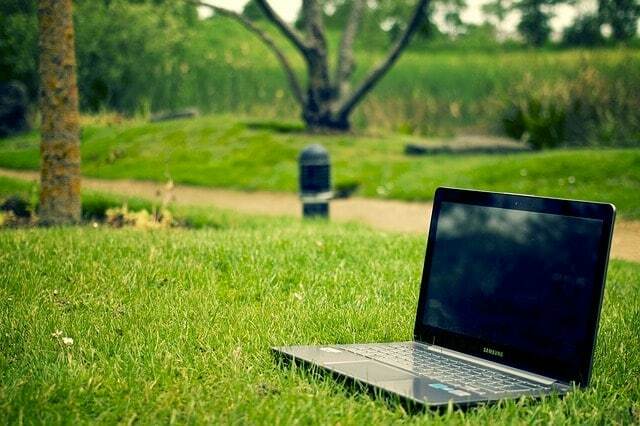 The laptop offers a battery backup of 3.5 hours only so you need to carry its charger around. The laptop weighs about 9.26 lbs which is extremely uncomfortable for traveling purpose. So, we can say that the Acer Predator 17 is a perfect replacement for your desktop and is ideal for intense work, but not meant to be carried around. 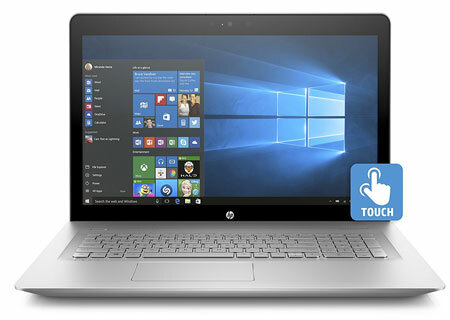 The HP ENVY 17 is a premium looking 17-inch laptop which comes with solid performance and powerful features. The laptop is powered by 7th gen Intel Core i7 processor paired with 12GB of DDR4 RAM to run most of the applications efficiently and reliably at faster speeds. The laptop sports a 17.3-inch full HD IPS touchscreen display with a resolution of 1920×1080 pixels. It comes with 1TB of a hard drive to store videos, songs and photos on your PC for easy access. As far as graphics are concerned, this HP Envy laptop backed with NVIDIA GeForce 940MX graphics with 2GB of dedicated VRAM. The laptop runs on Windows 10 which is best for bringing ideas forward and getting things done. For connectivity, the laptop is featured with all essential ports including three USB 3.1, USB type-C, HDMI port, and a combo jack. The laptop also offers a long-lasting battery of up to 7 to 8-hours which let you keep going without worrying about recharging. Overall, the HP ENVY 17-u110nr is one of the best 17-inch touchscreen laptops you can buy when keeping the price around $800. The ASUS VivoBook Pro is a true desktop replacement laptop which offers the performance and portability at the same time. It comes with powerful gaming features that make it one of the best 17-inch gaming laptops you can buy right now. Talking about the hardware, the laptop is powered by 8th gen Intel Core i7 processor paired with 16GB of RAM. For storage, the laptop comes with 256GB of SSD and 1TB HDD. 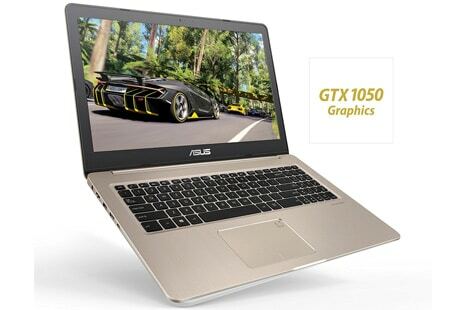 The graphics on this laptop are backed by powerful Nvidia GeForce GTX 1050 4GB DDR5 graphics which can run any game at the medium-high setting. The laptop comes with a 17.3-inch full HD 1080p resolution display to provide clear and sharp visuals. It has a backlit keyboard which is perfect for low-light settings and offers comfortable typing. For connectivity, the ASUS VivoBook Pro 17 offers USB 3.0, USB 3.1 Gen 1 port, USB 2.0, HDMI and SD card ports. The laptop comes with a long-lasting battery and weighs only 4.6 lbs makes it the best 17-inch ultrabook. So, if you’re looking for thin, longer battery life and powerful hardware features, then the ASUS VivoBook Pro is one of the best 17-inch laptops you can buy right now. 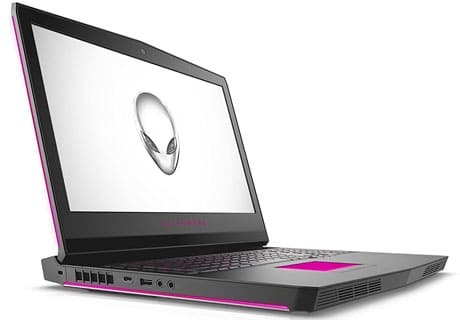 The Alienware is a popular series from Dell among gaming laptop industry. With solid build quality and high-end hardware specifications, this laptop is a perfect replacement for your desktop. The laptop is built using copper and magnesium alloy with a soft touch plastic throughout the deck and sides. The laptop is equipped with a 17.3-inch full HD display with an anti-glare coating. The display of this laptop can be bright up to 300-nits which is good as compared to other gaming laptops in the similar price range. Its backlit keyboard is nice and offers soft-touch plastic keys for comfortable typing. Talking about the hardware, the laptop is powered by 7th gen Intel Core i7 quad-core processor paired with 8GB of RAM and NVIDIA GeForce GTX 1060 with 6GB of dedicated graphics memory. 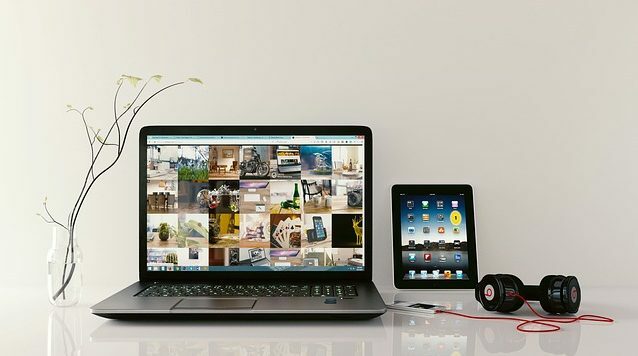 For storage, the laptop offers 256GB of SSD and 1TB of massive hard drive storage. The laptop weighs about 9.7 lbs which makes it an ideal desktop replacement laptop and one of the best 17 inch gaming laptops in 2018. Picking the one ‘best 17-inch laptop’ would be unviable. It all depends on your own experience and usage whether a machine is the best fit for you or not. With a premium display, HD graphics, fast processor, it perfectly sums up what best 17 inch laptops should offer. We think our short review of 17-inch laptops will help you to find the best machine. If you still need any suggestions or guidance related to the laptops, feel free to ask and leave a comment below.